You might believe it or not, but in Italy we have a quite common tradition to have a midnight Spaghettata (Spaghetti festival) with friends during summer time, to celebrate a successful event organized or simply after a party. 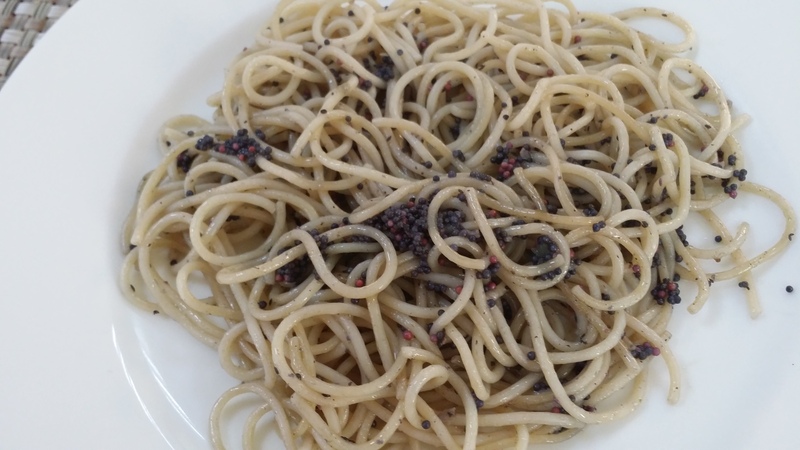 Since it is late in the night and there is not much time to prepare a complicated condiment, the most commonly prepared dish is Spaghetti Aglio Olio e Peperoncino (Spaghetti with garlic, olive oil and chilly). This dish is super easy to prepare and gives you a blast of taste and energy. The presence of chilly, moreover, makes this plate suitable to fight against flue and other similar infections. We can make it in 10 minutes, just the time to cook the spaghetti. Just put extra virgin olive oil in a pan and heat it. Once it is hot put in the pan some garlic cloves and let them brown. I usually use 2 cloves per person but you are free to follow your taste buds. Once the cloves are golden color, remove them from the oil and add the chilly, preferably the fresh small red chilly peppers from southern Italy that you have sliced in advance. If you do not have fresh chilly peppers, you can use the dry flakes or powder. Just remember that the powder will burn quickly and its flavor will be stronger in the oil. Pay attention to two things: wash thoughtfully your hands after having cut the peppers and keep the heat on low/medium to avoid the chilly, rich in water, to violently react in the oil. You shall just let the peppers release their flavor in the oil. No need to cook or burn them. How much chilly to add? It is entirely upon you and your taste as well as the choice to leave the peppers inside the oil (as I do) or remove them (this option is not possible if you use the powder). If you we have planned the cooking session at the perfection, at this time we should have the spaghetti cooked and ready to be drained. Once you have done so, put them in the pan with the oil and let them “fry” a bit with moderate to high heat, continuously tossing them. At my place, we add at the “frying” spaghetti an handful of bread crumbs that will make your pasta even crunchier. Serve hot with a handful of grated Parmesan cheese on top. 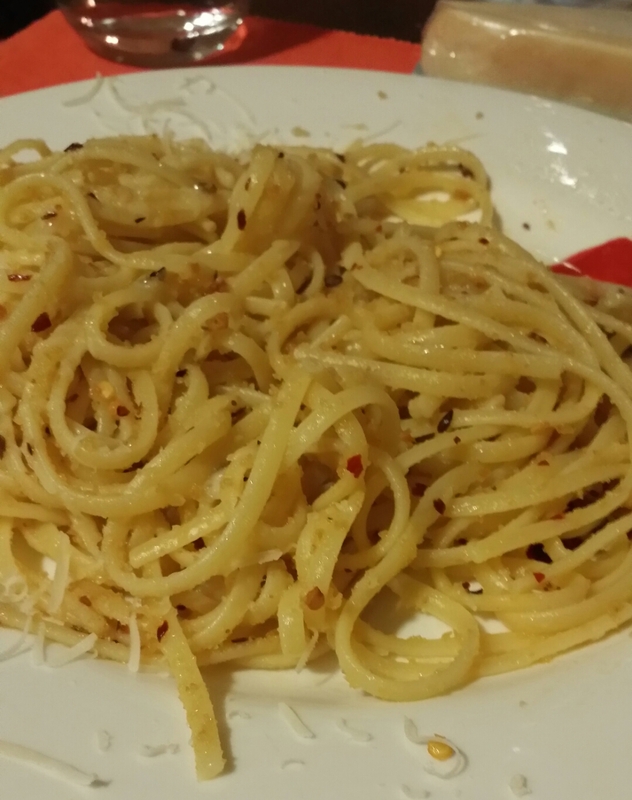 Spaghetti Aglio e Olio are the easiest one to be prepared by also the tastiest. I have used chilly flakes this time. This entry was posted in Cooking, Easy to Cook, Food, Italy, Pasta, Recipe, Spaghetti and tagged Chilly, Foodaholic, Foodporn, I Love Spaghetti, Italian food, Italian Recipe, Parmigiano, Pasta, Pasta che Passione, Pasta Lovers, Recipe, Spaghetti, Spaghetti Aglio e Olio, Traditional Italian Food on August 3, 2015 by andreadetto. 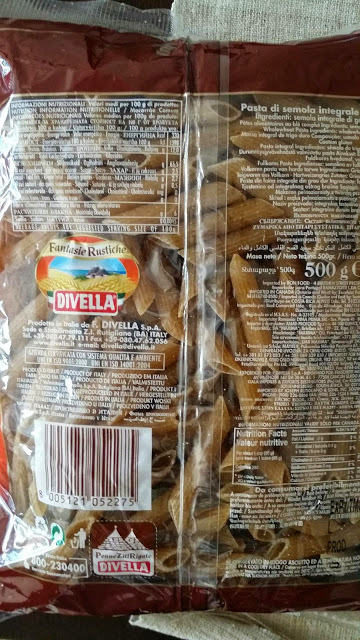 A easy recipe to prepare a tasty pasta with very little effort. 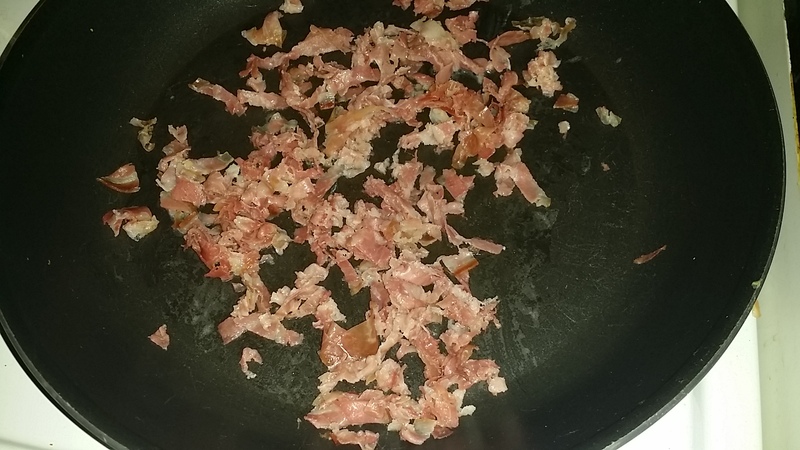 I usually prepare it with prawns or shrimps and sometimes with salmon. 1 Zucchino Trombetta (aka Tromboncino squash), some surimi or crab meat, 50/80g of frozen shrimps (or better the fresh ones if available) and 160g of spaghetti, extra virgin olive oil, salted butter, garlic, parsley, a pinch of salt, nutmeg, chilli, two spoons of milk and white wine. Wash the zucchini and cut them in small cubes and slice the surimi while the frozen shrimps are boiling. Heat some olive oil in a pan with garlic and parsley and add the zucchini with a little water and a pinch of salt. Let them cook slowly, sprinkling a bit of white wine from time to time. 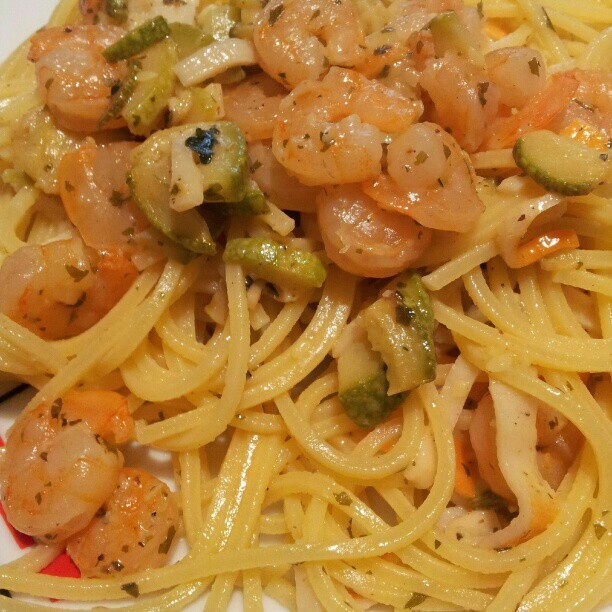 Once the zucchini are cooked (they should be soft at the touch), add the boiled shrimps and brown them together. Add a pinch of salt, nutmeg and chilli and toss from time to time adding some wine when they seem to be to dry. After few minutes (let’s say around 5), add the surimi, two spoons of milk (it helps in creating a creamy sauce without the use of cream), some salted butter and a handful of Grana Padano to render creamy the seasoning. 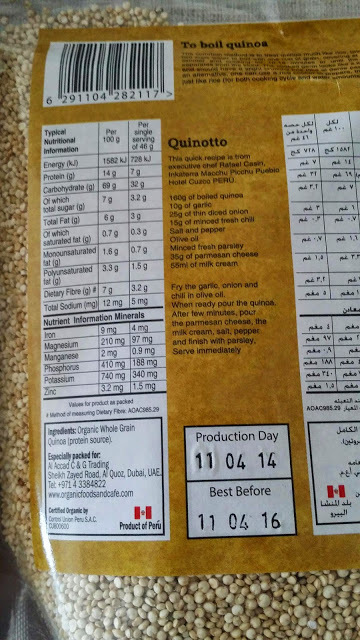 You can adjust the quantities of the various ingredients at your taste. You can add some cream or ricotta cheese if you want the pasta more yummy, instead of the milk. It will be a bit heavier but tastier. Dry the cooked spaghetti and mix them with the seasoning in the hot pan. Serve hot with a nice glass of white wine. 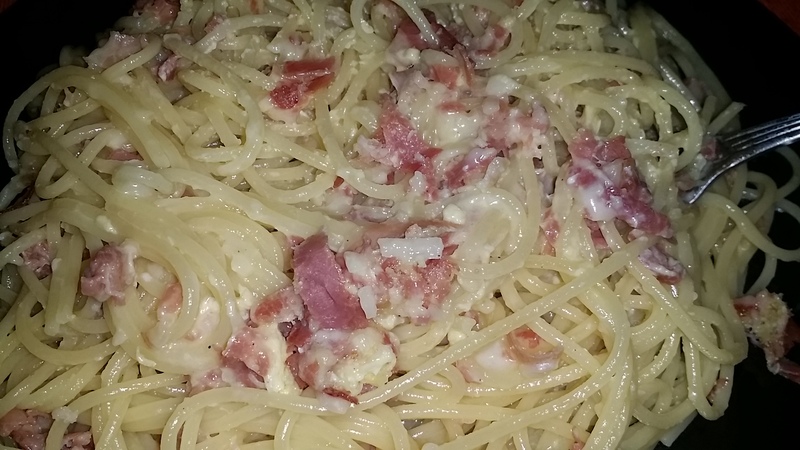 This entry was posted in Cooking, Easy to Cook, Food, Italy, Pasta, Recipe and tagged Food, Foodaholic, Italian food, Italian Recipe, Pasta, Pasta Lovers, Recipe on June 27, 2015 by andreadetto. I was at the gold and Diamond park to buy a present for my partner and had to kill one hour while the owner of the shop was polishing, changing size and packaging my present. I decided to go to Caffé di Casa and have some nibble and a coffee since it is one of the few restaurants open during the Holy month of Ramadan. In entering the place I wasn’t welcomed at all. Waiters were too busy in playing with their phones. I asked for a menu and they indicated to me a fridge from where I could have picked whatever I wanted. There were many options like salads, sandwiches and pastries and eventually I opted for a fresh salmon and avocado salad. With my great surprise, it was a pasta salad with sliced green apple and spring onions !!!!! The ingredients were all of good quality if taken separately, but I was suppose to mix all together and enjoy the salad pasta. I had a moment of dizziness. I wanted to ask who the chef was and show him some essential rules to observe if managing an “Italian restaurant”. 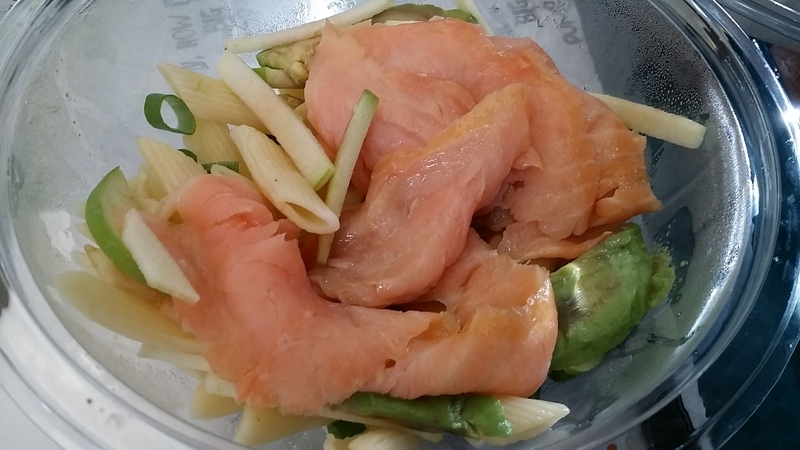 However, I had the salmon with the avocado first, the plain pasta with spring onions as main and the sliced apples as dessert. A good compromise. I don’t think I will ever go back in that place. 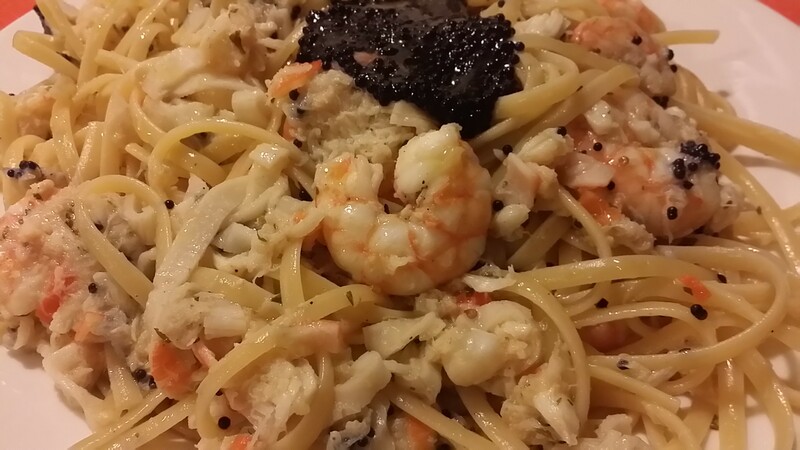 This entry was posted in Food, Restaurant, Restaurant Review and tagged Food, Foodaholic, Italian food, Pasta on June 26, 2015 by andreadetto.